My family was fortunate to be in Hawaii during Thanksgiving in 2012. We loved Hawaii and will be always looking for ways to get back there. While we were there, we tried every local food we could find, and one of our favorites was Loco Moco. 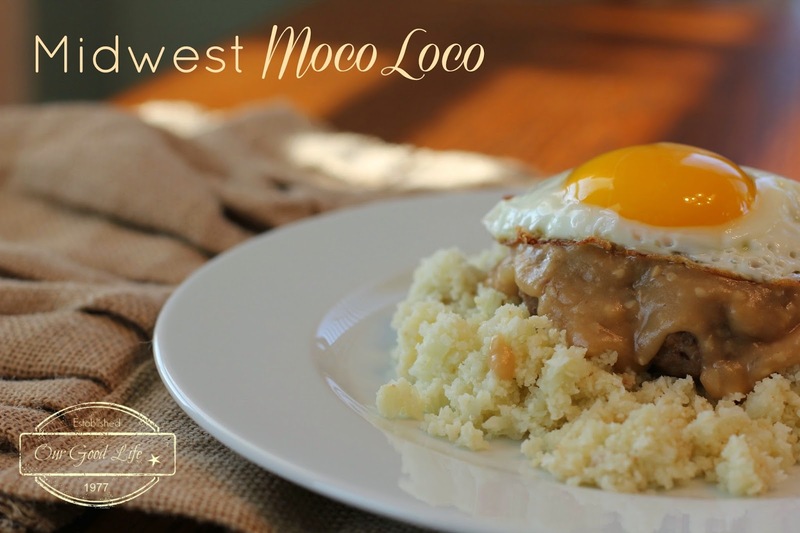 What is a Loco Moco? That's the same question we had! It is simply white sticky rice with a hamburger patty on top, with a fried egg on top of that, covered with brown gravy. What? You don't think that is tropical? I can tell you that when we make it at home, I can see myself sitting in the restaurant in the open air, alongside a white sand beach, with salty breezes blowing across my face! We had this several times, as different restaurants have different versions that they are famous for. One even includes Spam! 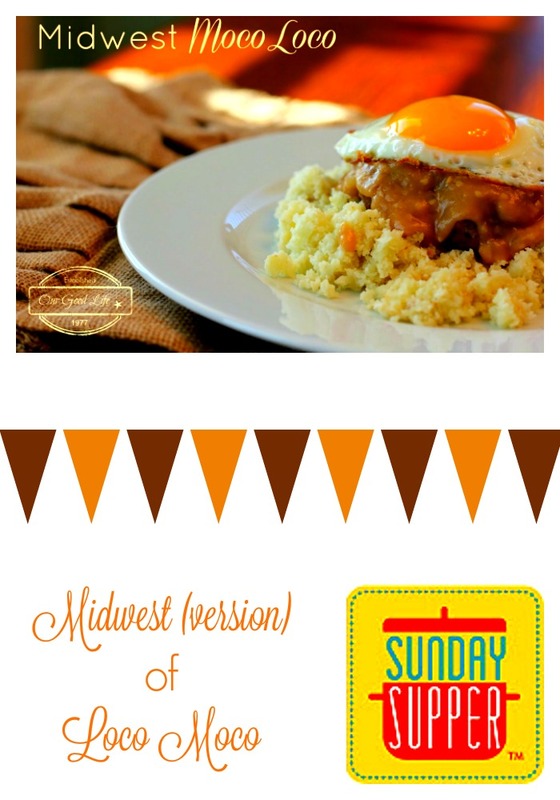 So what makes this one midwestern? For one, I have lightened up all the ingredients with the exception of the egg. I use cauliflower rice instead of sticky rice, a ground turkey burger, a fried egg, and then vegetarian brown gravy. It is a delicious combination of tastes and I hope you give it a try! Remove the leaves from the cauliflower head, remove the white core. Divide into flowerettes. Process in a food processor until the cauliflower resembles rice. Gently heat 1 T olive oil in a medium skillet, add cauliflower. Cover and cook 4-6 minutes, until your desired doneness. Remove from heat. Saute onions and garlic in butter over medium high heat. Reduce heat, make a roux by adding the flour a little at a time, stir continuously to avoid lumps. While stirring, add soy sauce and vegetable broth. Add salt and pepper to taste and cook until gravy has reached the desired thickness. Set aside. Mix ground turkey gently with the steak seasoning. Form two patties with the turkey meat. Fry in a medium skillet with 1 T olive oil until desired doneness. Season with salt and pepper, set aside. Fry two eggs to your desired doneness. A sunny side up egg is perfect for this meal. To assemble: scoop a cup of caulirice onto plate, pat to create a flat surface. Place turkey burger on top. Pour brown gravy over the burger, and then top with one of the fried eggs. Repeat for the second serving. You will have some caulirice left over. This is delicious for five days in the refrigerator. You can find some wonderful recipes with a tropical flare by checking out the recipes below!